With Black Friday just around the corner, you may be looking for some amazing sales promotion techniques to create buzz and boost your sales. 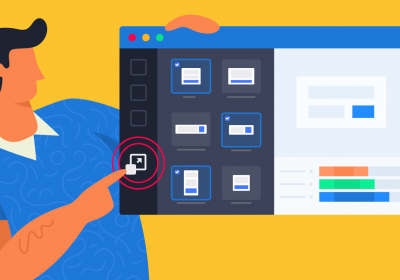 Fortunately, we’ve compiled a list of 13 sales promotion ideas and illustrated each one of them with a case study to inspire you in the process of crafting a successful promotion. Scroll down to read more about them, but first, I’d like to tell you a few words on the things you need to include in your promotion campaign. What are the elements of a skyrocketing sales promotion? A great sales technique – pick one from the list below. A BIG discount/giveaway/prize – depending on your business type and audience, you could cut your prices or give away goods. An original creative concept – this is an essential part of the process, that can either boost sales or make you waste your money. Beautiful graphics – professional posters, banners, email headers, Social Media posts, and website banners. Try creating your graphic materials with Bannersnack. A limited time period – from 24 hours to 30 days. And now, let’s see what are the best sales promotion strategies. Big discounts may be as old as the trade industry, but it’s an evergreen method of increasing sales volume. We all wait for the summer/winter clearance sale to finally buy items we’ve spotted but couldn’t afford to buy during the season. Price cuts are convenient for both customers and retailers. It offers the possibility to buy more for less and it allows retailers to clear their stocks and sell huge volumes while keeping the money flowing and the business going. Now, let’s see a creative sales campaign from Haband, a clothes and homeware online shop. Remember that feeling when you walk down a street and you suddenly see a shop window covered in discounts labels and you wonder how much will you get? How much will you save? And wish you’ll find something nice that’s at least 50% OFF the normal price? Well, this e-commerce website is no stranger to these psychology insights. Haband sent this eye-rolling GIF email to their customers to promote their fall sales and motivate them to engage and crave for big price cuts. Their call to action invites one to click the wheel of savings and reveal what discount they got. 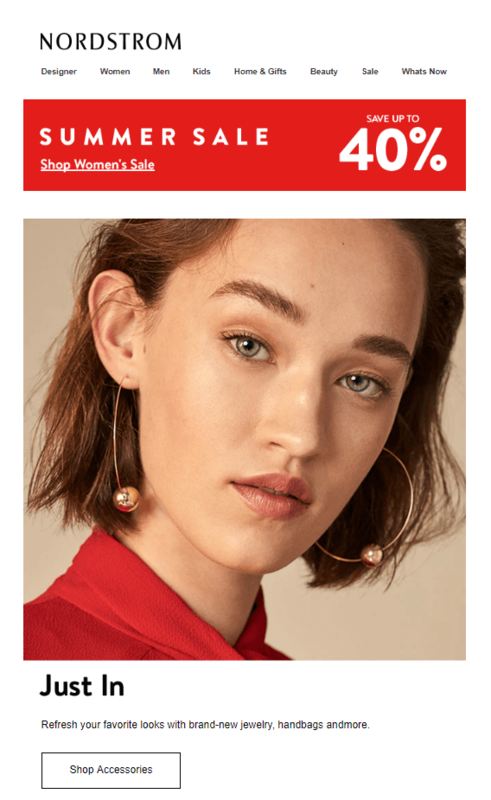 Once you click the wheel, you are automatically redirected to their website and served a pop-up banner, which reveals the size of the discount you get. I happened to click the 40% OFF. Impressive (mesmerizing) ad, isn’t it? Special prices are basically price cuts, but psychologically they weight heavier, especially when you sell everything for a tremendously small price. Add a limited period and free shipping, and you’ll get yourself a massive boost in sales. And a few thousand clients that will come to you for the rest of their lives. That sounds like a big deal, right? 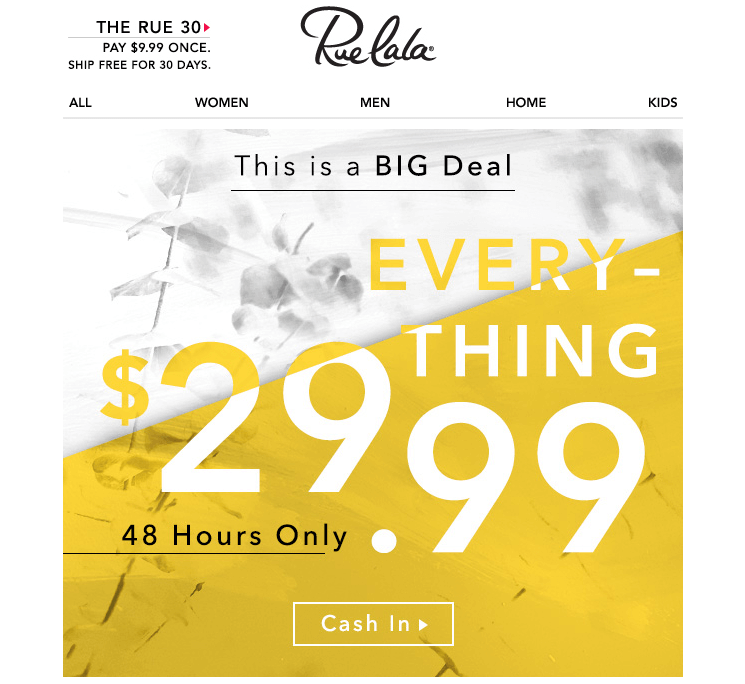 Let’s take a look at this promotion from Ruelala, an online fashion shop. 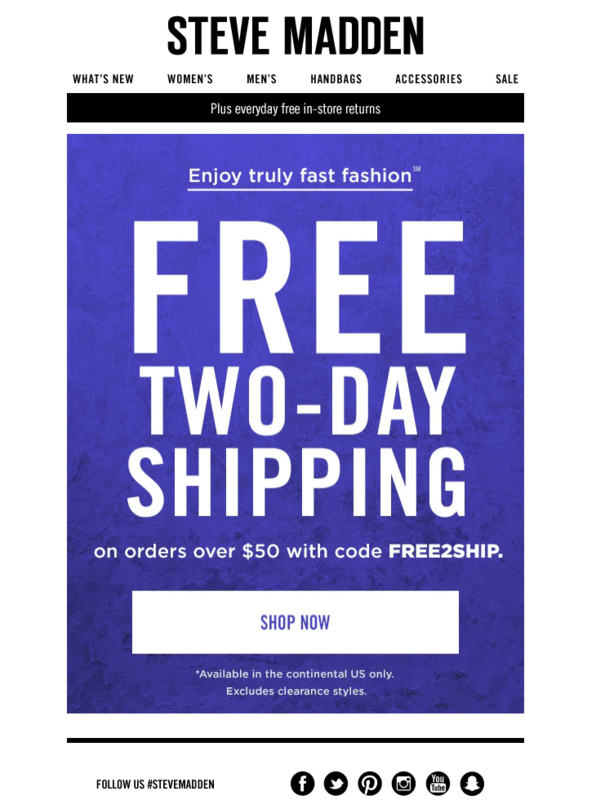 Known for their membership only sales system, offering access to a wide range of coveted designers, Ruelala sent their members this incredible deal offer: every clothing item for only $29.99. This price might not have arisen chills of excitement had it been rolled out by another online fashion shop. But in this particular case, $29.99 is a total bargain, because Ruelala sells clothes created by highly reputed designers. Sweepstakes are still in fashion, you know. People still hunt for prizes, rewards and free gifts. This technique suits all types of businesses, and it can be applied to local business advertising as well as to global scale advertising. 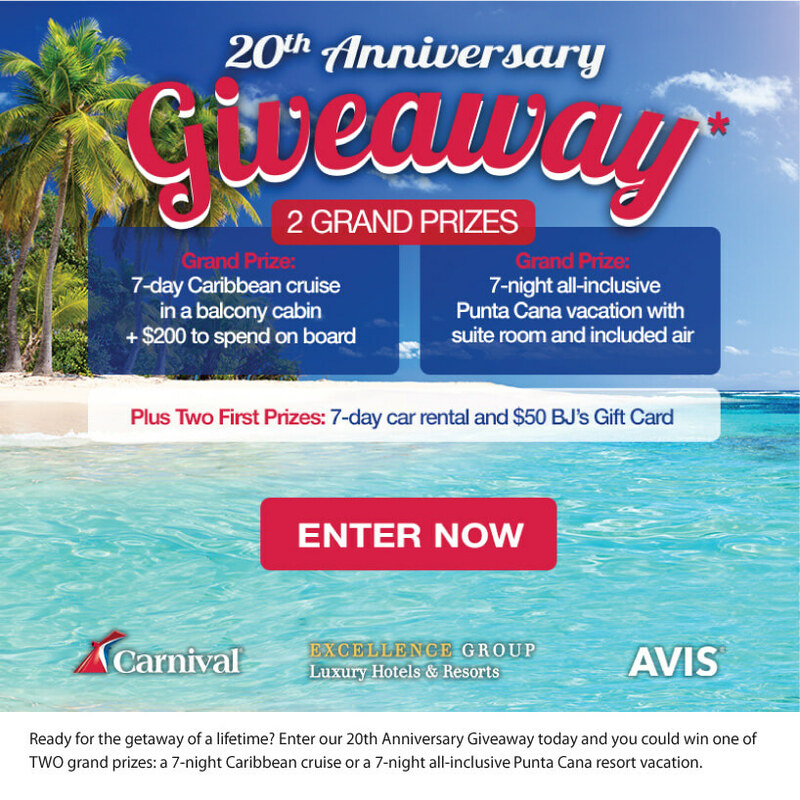 Here’s an anniversary promotion from BJS Travel that offers not one but two grand and amazing prizes. Plus two first prizes consisting of a 7-day car rental service and an extra pocket money gift card. Is there anyone who wouldn’t like to go to the Caribbeans? Women are notorious for being addicted to shopping. The more, the merrier. The cheaper, the better. This type of sales deal will arouse any woman’s desire. Paying one item and getting 2 for the same price is just pure ecstasy. 2 leggings for the price of one? Another free bra (of a different color) when you buy one? After all, is there a sane woman who doesn’t need to match her lingerie with her blouse and leggings and shoes and bag? Rotating your business’ sales strategies is a great idea, so you could pin-post this method and use it when you feel necessary. Here’s what Aerie has done to increase their sales: a buy 1, get 1 free pair of leggings promotion. Now, their promotion ran during September, the first month of fall. September is not the end of the fall, so they couldn’t have had clearance sales. But instead, they thought of something else. They bet on the people’s need for new autumn clothing items. So they chose the leggings as their star sale item which would hook people into the promotion. Isn’t this a great strategy? Reward points may not be as exciting as big discounts, but this strategy still appeals to a large number of people, especially to loyal customers, who buy from your stores on a regular basis. 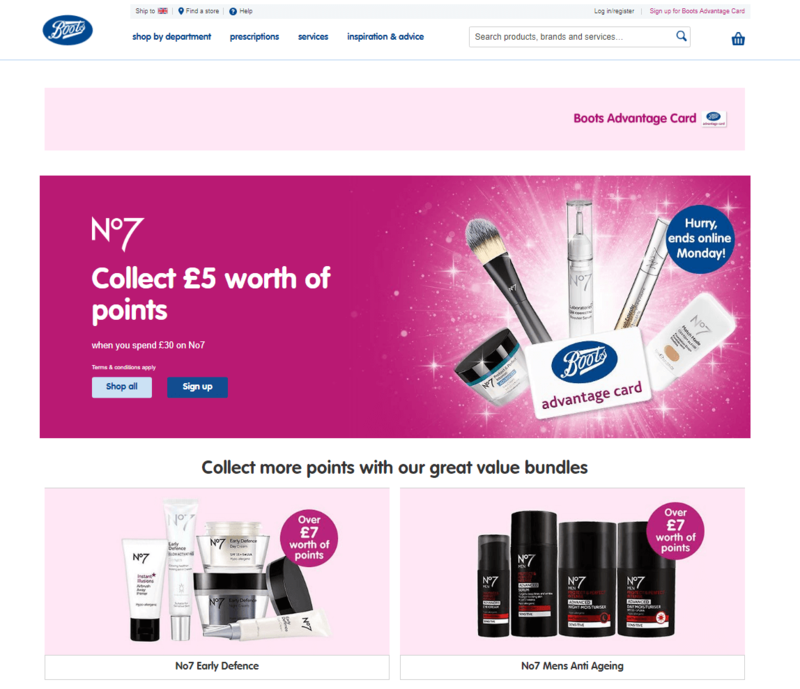 The reward points promotion from Boots, UK, here below, is a great loyalty builder for two reasons: first, it encourages customers to buy with the promise that a £5 reward will follow their purchase; second, it re-affirms the statement that Boots is a store worth buying from, because you can add-up your reward credit with every purchase you make, which translates to free on-choice products. Their deal is attractive and straightforward: you get £5 of points when you buy No. 7 products worth £30. The promotion is available both online and in store, but it is on a tight time limit. Imagine what you could buy with £5: a hair mouse, a shampoo and a conditioner; or a face scrub and a moisturizing cream; or a deodorant, a soap, and a face wash lotion. £5 may seem like a small amount, but when you count the products in your basket, it’s actually a lot. Having a big discounts promotion is great, but when you spice it up with a very limited time duration, people will get even more interested. Flash sales appeal to our sense of urgency and to our fear of missing out on amazing things. In a world of instant gratification, make your promotion urgently instant with a limited time period. You can limit your offer to a duration spanning between 30 days to 24 hours. However, there’s a catch. In order to sell massively in only 24 hours, you need to advertise your price cuts big time, using every possible media and influencer connection you have. Let’s analyze this Neiman Marcus flash sale promotion. In September 2018, they sent this email to their customers letting them know about their 24-hour only sale discounts. 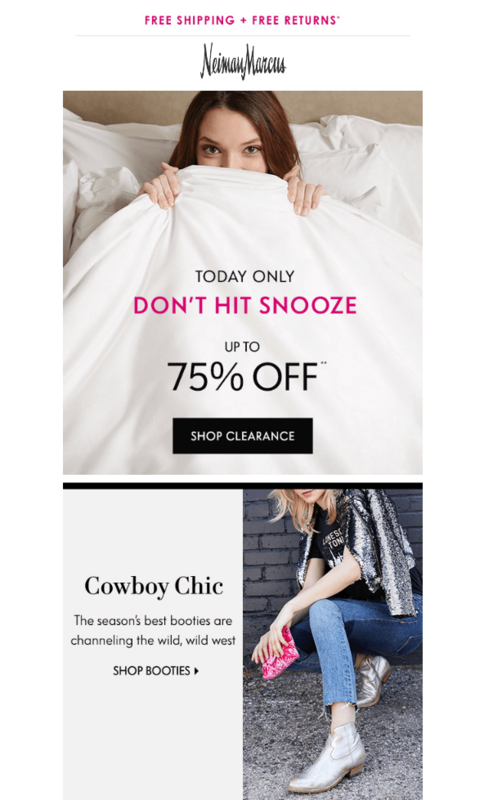 Their creative concept emphasizes the marketing idea: a girl in bed, covering herself up with the duvet is advised not to go back to sleep (“Don’t hit the snooze.”) or else she will miss the discounts going as low as 75% off. Clear, funny and appealing, if you’d ask me. There’s no time like Christmas time to clear your stocks and skyrocket your revenue. Erase Christmas and replace it with Halloween, Mother’s Day, Easter or Valentine’s Day and you get the point. Holiday promotions are a sure bet on huge sales, provided you have a great advertising campaign. From the key message to the graphic layout of your ads, everything must be taken care of. Remember this is a time of the year when everybody is out there shouting and waving their hands at customers, so you must stand out somehow. Sure, cut the prices, but take your time to craft a 21st-century campaign. By 21st-century I mean a digital campaign as part of your 360 degrees advertising efforts. Include email, Social Media, display banners, YouTube videos, website pop-ups. There are four seasons of the year and thus four extra opportunities for you to launch sales promotions. This is extremely important when you’re selling seasonal products like clothing and shoes. You need to advertise your spring, summer, fall and winter collections. You can even promote your collections of accessories like Nordstrom did in this campaign. As a woman, you cannot just wear your clothes. You need to complement them with jewelry. Countless events are happening every year, from football cups to music festivals. Your job is to find an event that matches your target audience and use it as a pretext to sell your products. Or you could initiate a deal with one of the top athletes or celebrity involved in that event and convince him/her to endorse your brand. 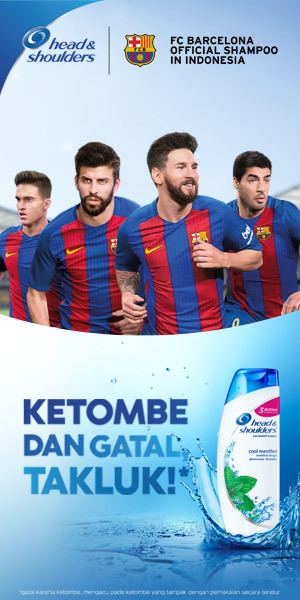 Head & Shoulders, one of the world’s best selling shampoo brands had a deal with FC Barcelona’s stars to endorse its cool menthol shampoo. What’s the link between this shampoo and the football players? Apparently none. But this shampoo prevents and treats (according to their claim) dandruff. And dandruff can come as a consequence of sweating when running or working out. So, it can help these stars have clean scalps (and shoulders) while looking great. It can also help the people watching these football matches fight dandruff, especially if they’re also confronted with this problem after playing football with friends or working out in the gym. Here’s another example, from Kellog’s: L’Eggo . They found an excellent opportunity to link this brand (a flavored frozen waffle) to the back-to-school time of the year. Because it’s frozen and all it needs is a bit of topping, this waffle is perfect for a fast breakfast, before heading to school. 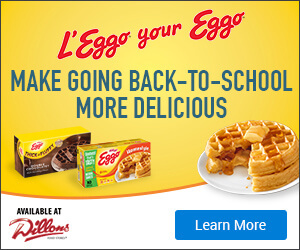 That’s why they launched this campaign before the start of the school and made sure children and parents are well aware there’s L’Eggo out there to help them out with breakfast, once the school starts. You can run this type of sales discount all year round on your website or in your shops. It motivates people to try your products and ensures a positive experience with your brand. 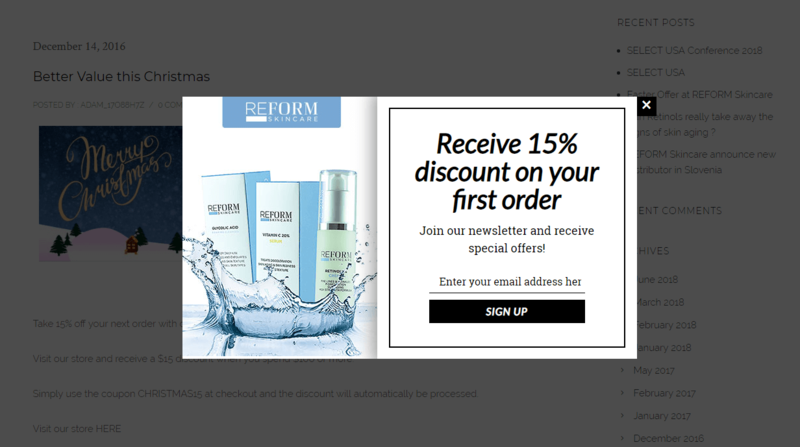 ReForm is a skincare brand selling anti-aging and highly moisturizing creams and lotions. Their products are not extremely expensive, but they’re not the cheapest cosmetics you’d find in the supermarket. So they used the “first order discount” sales incentive to entice people to try their products and order online. There’s one thing that people consider when buying from an e-commerce website: the shipping cost. Although online shopping is more time convenient and even cheaper, sometimes we realize we spent more on a product we ordered online than we would have actually spent if we bought it from a shop in the city center. That’s because shipping can get expensive. Depending on the e-commerce website you order from, (and the country) you can pay an amount ranging from $2 to $50. That’s a lot. 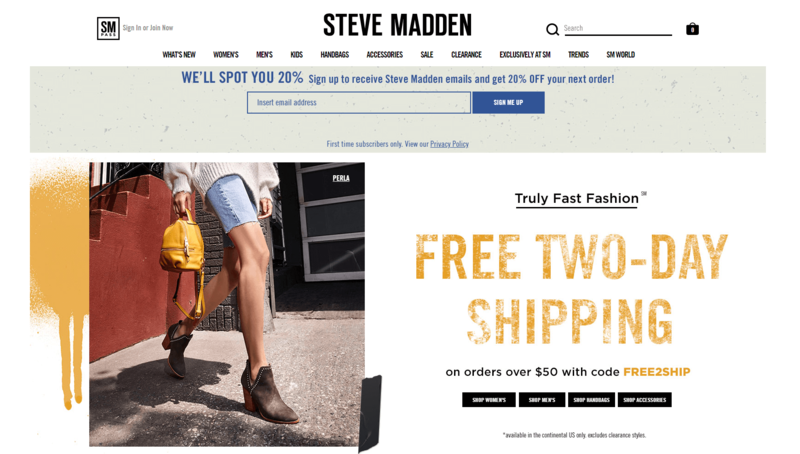 Steve Maden a large e-commerce retailer knows that people place orders from countries all over the world. That’s why they often offer free shipping. As you can see, their free shipping period offer is limited to two days. Which makes their website even more enticing. 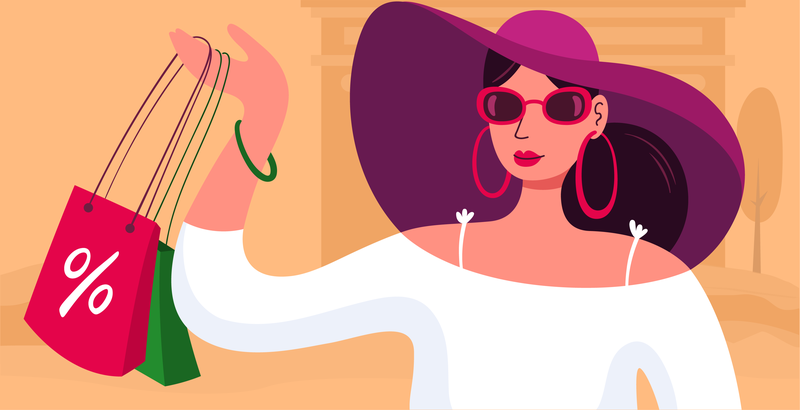 Coupons are women’s most sought sales deals. They used to be present everywhere in women’s magazines, back in the old days of print press. But digital marketing has taken coupons to a whole new level, keeping up with today’s woman and her new devices. There’s no need to cut out the coupons anymore and store them in the kitchen’s drawers. You just have to type in a code and that’s all it takes to receive a significant discount. If you’ve got a women’s brand, add couponing to your marketing toolkit and analyze JOANN’s case study below. JOANN is one of the world’s largest fabric and craft supplies retailers. It is a company thriving on women’s passion for tailoring, quilting, and crafting. By now, they know their target audience psychology by heart and use essential insights to create appealing sales promotions. Here’s an impressive and long coupon that JOANN sent out via email to their customers. Instead of formulating a standard discount message (Get 60% OFF), they created several categories of discounts for various types of products and invited people to apply for the discount they prefer, using one of the codes available. Please notice the skillfully crafted email layout. It looks a lot like a scrapping book! This is just a small part of the email. If you’d like to see the full email, click here. One simple and efficient way of increasing sales and long-term commitment is to organize a competition. Prize contests have moved from the store area to the internet a long time ago, which allows us to make use of a wide array of digital tools. Here is one of Ariel’s contest promotion. The big prize: a washing machine. If you want to use this strategy to create a promotion, be careful though. You need to choose a prize that complements your products. 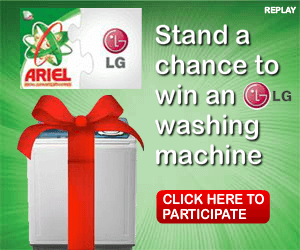 For Ariel it was plain simple to choose a washing machine as their big prize. But, what happens when you’re an insurance company? Or a chocolate bar? The prize must consist of something other than your product. Here’s a hint: think of your target audience and where they use your product. For example, if you have a chocolate bar brand, you could offer a summer camp vacation for kids. Whatever type of marketing strategy you choose to boost your sales, take your time to make a choice. See which sales promotion method works best for your brand and your customers. No technique works for everyone, so what was a sales booster for someone else might be a time waster for you. Analyze your business, audience, choose a sales strategy and come up with a creative campaign that looks great and appeals to humans of the 21st century, that is people bombarded with promotional information. I like using Bannersnack very easily in creating animated banners, but unfortunately for the free version the animation effects are very limited. I hope you can add some animation effects to the free version.